WHOA. Guys, I got booked for my first ever Friday night paying solo gig. 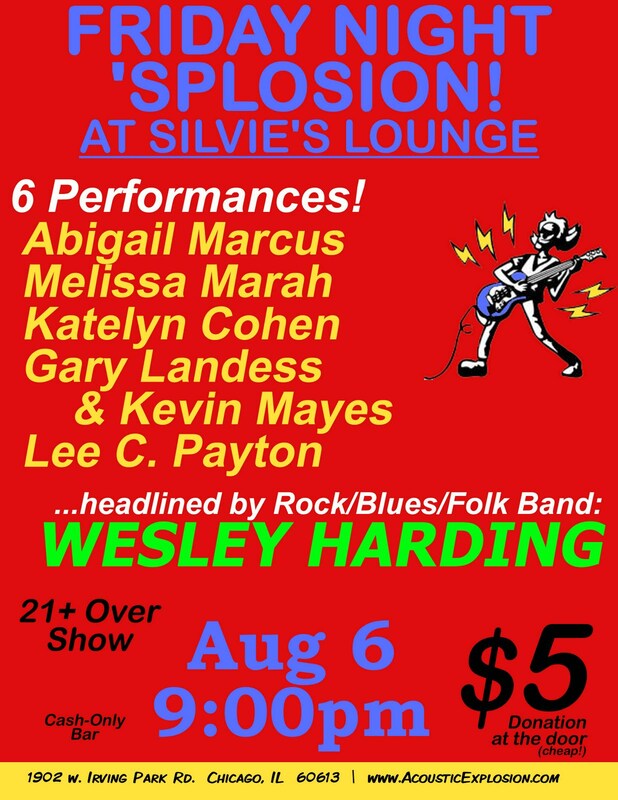 And it is this Friday, August 6th at Silvie's Lounge. This is momentous. Look! There is even a visually assaulting flier with my name on it. Amazing! 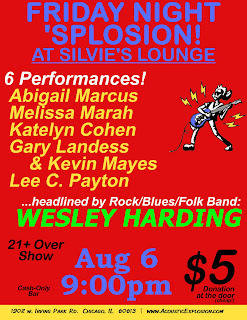 I get a half hour set that starts at around 10pm and the cover is $5 at the door. Make sure you tell them you are there to see me, so I can get da money, which is of course the only reason I do any of this.